2. Cooling system This is another problem that the E32 shares with the E38. There are two areas of the cooling system that are particularly weak: Radiator. 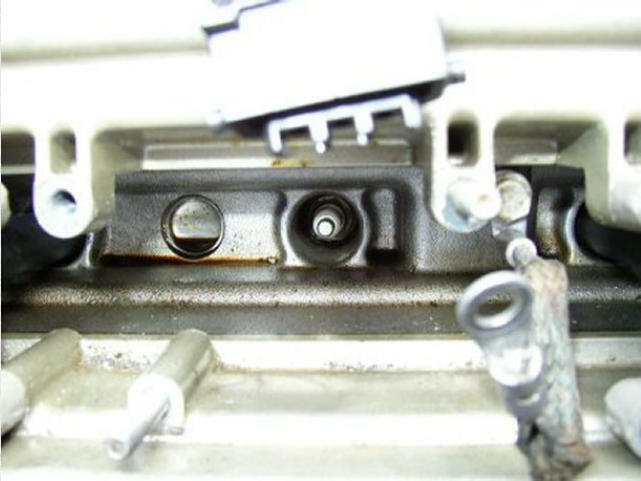 The E32 radiators have a plastic body, they break around the Top Hose connection. The Top Hose fitted to the radiator with the aid of a Jubilee-clip. The usual problem is that the plastic pipe that the hose is connected to cracks under the Jubilee-clip and this causes a small weep around the hose that is difficult to trace. The usual evidence is white marks down the side of the radiator. The only repair is the replacement of the radiator. Viscous Fan. The Viscous Fan is mounted on the water pump shaft and is driven by the main belt from the crankshaft pulley. The assembly consists of a temperature-dependant viscous-clutch driven from the pump shaft that drives a large plastic fan. When the clutch is cold the fan idles and can be stopped with a rolled-up newspaper (the usual test), once the clutch is hot the fan is driven with a much greater torque and produces a great deal of air-flow. The usual problem is that the clutch fails and the fan cannot produce enough air-flow. The fault will show itself when the car is stationary when it will rapidly overheat. The temperature-rise is usually halted by the the auxiliary fan (A/C fan) which will operate independently to the A/C system when required. Once the car is moving the temperature starts to drop. A more unusual problem is that the clutch seizes, this is first noticed by large whooshing noises when the car is revved-up. Replace the viscous coupling immediately if this happens as the fan will disintegrate and this can cause all sorts of damage including big holes in the bonnet! Replacement of the Viscous Fan is pretty simple and is covered here (E38 shown E32 similar) 3. Air Conditioning. The A/C system tends to slowly leak gas, fortunately re-gassing gets things going again successfully. Re-gassing is covered here. 4. PCV Valve Failure. The V8 E32's suffer from PCV valve failure when they reach a certain age. The PCV valve consists of a diaphragm fitted to a housing that is fitted to the rear of the inlet manifold and when this is damaged it can cause erratic idling and excess smoke. Often mistaken for Nikasil problems in the early models, the repair is pretty straight-forward but does require a bit of patience especially when trying to get the Torx bolts out of the bellows assembly. The repair is covered here. 5. Trans Prog Error. If there is one fault that makes you sweat, this is it! You get the message of doom on the OBC and the gearbox locks itself in 3rd on the 4-speed boxes or 4th on the 5-speed boxes. You immediately realise that the cost of a replacement box is more than the car is worth and aim the car at something that will produce a terminal insurance claim. However, don't panic, in 9 cases out of 10 the problem is easy to fix. Here is the most likely candidates: Battery Voltage Too Low. The E32 hates having a low battery voltage and one of the first things that gives up is the gearbox. 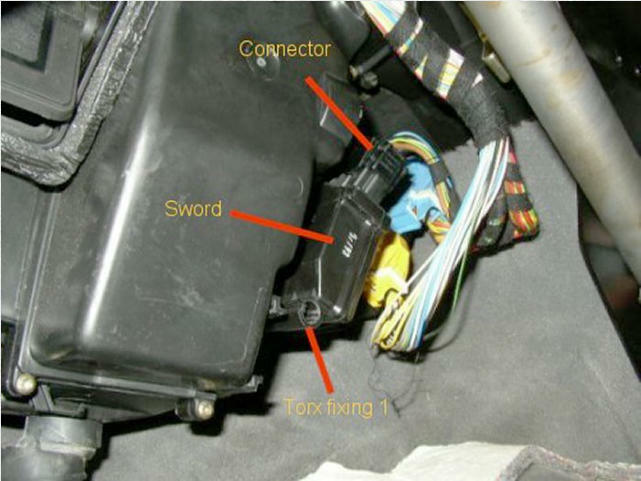 Although the EGS (control unit) keeps running, the 12V solenoids in the gearbox don't, the EGS sees this as a failure of the valve-body and gives up. Low battery voltage is often due to short trips, failing battery or a faulty alternator. Disconnect the battery, replace if needed or give it an overnight charge and have another go, hopefully the problem will not return. S.E.M Switch. This is the Sports, Economy, Manual switch next to the shifter (marked SE* on the V8's). Although it is a simple momentary switch it can intermittently make contact when in the rest position, or select 'S' and 'M' at the same time. This causes an error in the EGS. The switch can be removed and cleaned or (for emergency use) you can replace it with the sunroof switch! Shifter Selector Switch. The selector switch is a multi-pole, multi-throw unit and produces a switch pattern (akin to binary) to the EGS. Problems occur when the contacts get dirty and the one of the switch elements fails to make contact. The switch pattern sent to the EGS is incorrect and the EGS flags a Trans Prog Error. The shifter selector switch can be removed and cleaned with contact cleaner quite successfully. Low ATF Level-Filter Blocked. Pretty obvious one this, however, the box usually starts slipping when cornering first. Still, when all else has failed it is worth replacing the filter and getting the oil changed. 6. Rocker-Cover Leaks. 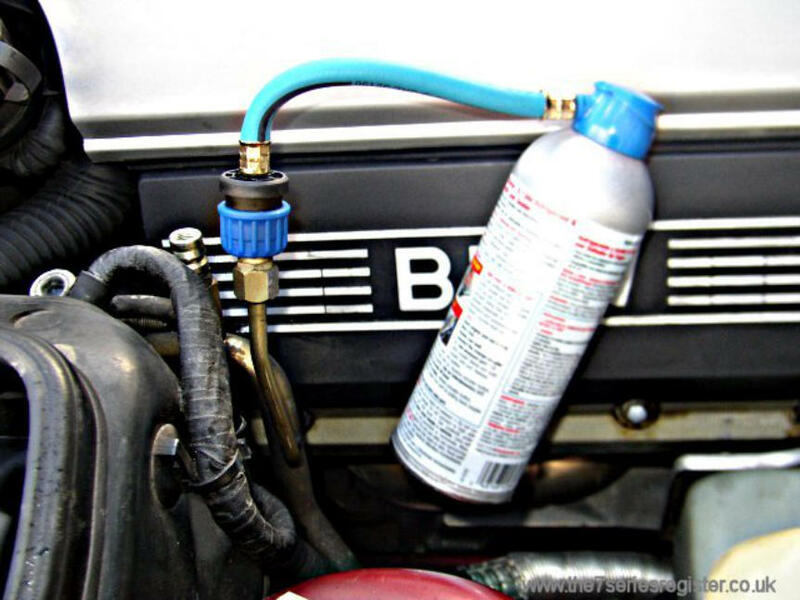 A small oil leak isn't too much of a problem unless the oil fills up the spark-plug holes! Unfortunately this is exactly what happens on the V8 models. 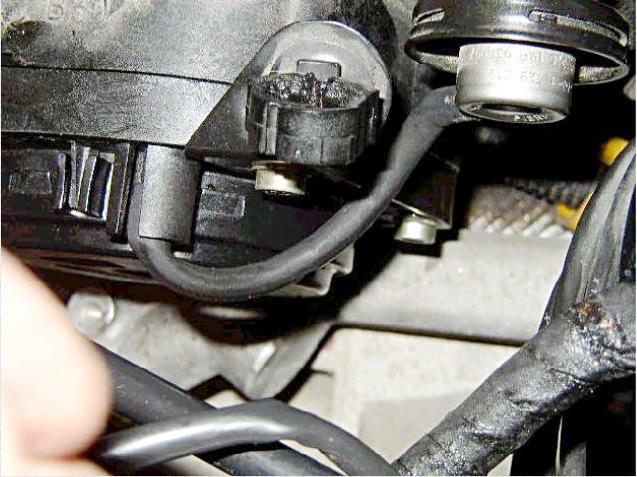 The engines use coil-over-plug ignition coils with short HT-stubs, and it is these stubs that are damaged by the oil. Once the HT-stubs are damaged the engine will start to misfire. The repair is covered here. 7. Noisy Tappets. There are two different problems here. The M60-engined cars get noisy tappets that come and go, this is not a problem and is covered here. 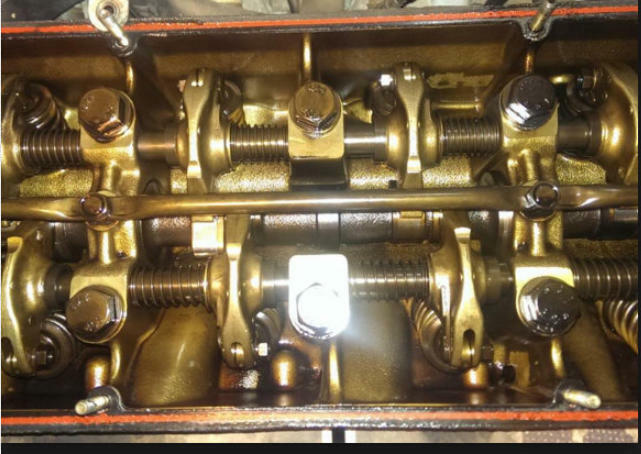 The M30-engined cars get noisy tappets due to cam wear due to a lack of lubrication. The lack of lubrication is due to the loosening of hollow bolts known as 'Banjo Bolts'. These bolts direct oil from the upper oil gallery to the cam spray bar. The problem is that the bolts cannot be tightened too much as they will be damaged due to the hollow construction and they eventually come loose and this starves the front lobes of oil. The bolts should be locked with thread-lock but even this gives up, especially when the bolts are 'checked for tightness'. Banjo Bolts can be purchased with wire-holes so the bolts can be wired in position, this is the preferred method as it is impossible to remove all traces of the oil from the gallery which is required to use thread-lock. Unfortunately, once the tappets get noisy the cam is starting to wear quickly, and if left too long the rocker will seize and then snap in half, the wise money is on replacing the Banjo Bolts with the wired types before this becomes a problem. 9. Lighting Problems-False OBC Messages. There are a number of faults covered here all lumped under one heading but all concerning the external lighting. 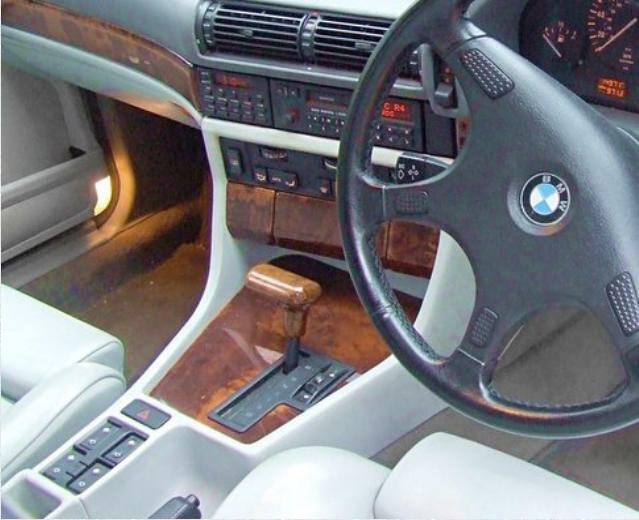 The E32 lighting system changed quite considerably across the model years and some faults are confined to certain years: False 'Bulb Failure' Messages. 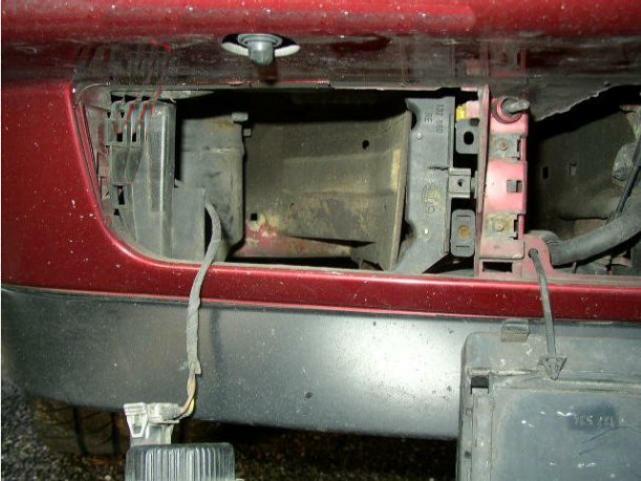 If you have a single warning message (usually brake light or rear side-light warning) and the bulb is definitely working the most likely cause is corrosion on the bulb-contacts. Clean the contacts with fine emery-cloth and squirt some contact- cleaner on the contacts....that usually cures the fault. If you get multiple warnings on the later V8 models, side lights, rear lights, brake lights etc. then the fault is usually due to the headlight-aim motors. These get electrically noisy and the noise confuses the Check-Control-Module (CCM). The simple repair is to get the headlights aimed correctly and then remove the connector to the motors. Intermittent Rear/Brake lights. If you have rear lights that are intermittent the most likely cause is the famous 'Mustard Relay' which was present on early models. The picture below shows where it isn't on the later models as the Mustard Relay was replaced by electronics in the LKM (Lamp Control Module). The relay can be taken apart and re-soldered. Intermittent Headlights. On the early models this fault is again due to fatigued solder-joints but this time on the LKM. The early LKM's had relay's soldered to the main PCB and the weight of these relay's eventually fatigue the solder joints. The LKM can be taken apart and the solder joints remade. 10. External Temperature -37F. Another trivial fault but still annoying, this is due to either the probe (shown below at the top LHS of the RHS fog light cavity), or the connection into the loom which is found behind the cavity. 4. PCV Valve Failure. The V8 E32's suffer from PCV valve failure when they reach a certain age. 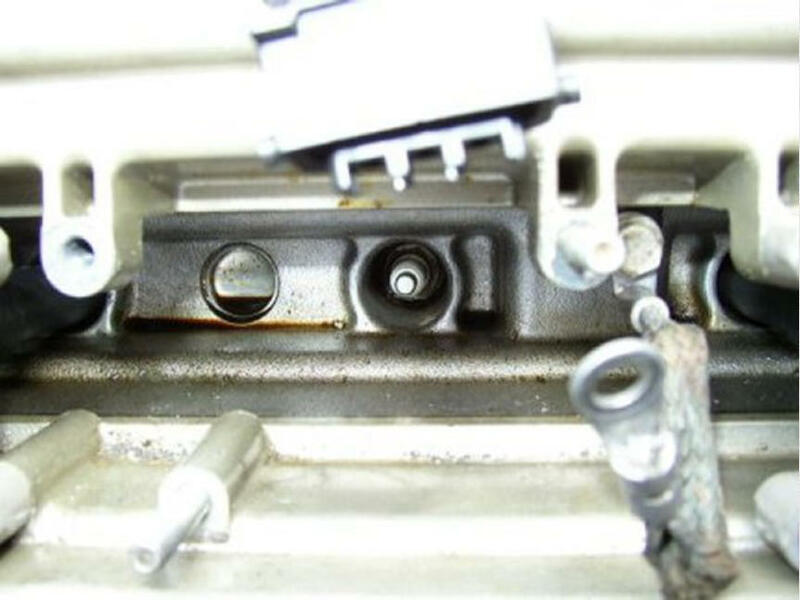 The PCV valve consists of a diaphragm fitted to a housing that is fitted to the rear of the inlet manifold and when this is damaged it can cause erratic idling and excess smoke. Often mistaken for Nikasil problems in the early models, the repair is pretty straight- forward but does require a bit of patience especially when trying to get the Torx bolts out of the bellows assembly. The repair is covered here. 7. Noisy Tappets. There are two different problems here. The M60- engined cars get noisy tappets that come and go, this is not a problem and is covered here. 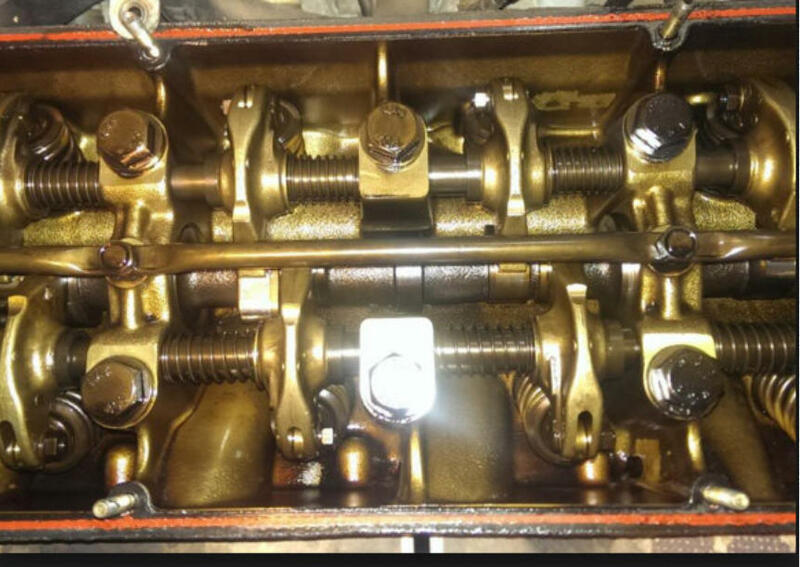 The M30-engined cars get noisy tappets due to cam wear due to a lack of lubrication. The lack of lubrication is due to the loosening of hollow bolts known as 'Banjo Bolts'. These bolts direct oil from the upper oil gallery to the cam spray bar. The problem is that the bolts cannot be tightened too much as they will be damaged due to the hollow construction and they eventually come loose and this starves the front lobes of oil. The bolts should be locked with thread-lock but even this gives up, especially when the bolts are 'checked for tightness'. Banjo Bolts can be purchased with wire-holes so the bolts can be wired in position, this is the preferred method as it is impossible to remove all traces of the oil from the gallery which is required to use thread-lock. Unfortunately, once the tappets get noisy the cam is starting to wear quickly, and if left too long the rocker will seize and then snap in half, the wise money is on replacing the Banjo Bolts with the wired types before this becomes a problem. 9. Lighting Problems-False OBC Messages. There are a number of faults covered here all lumped under one heading but all concerning the external lighting. 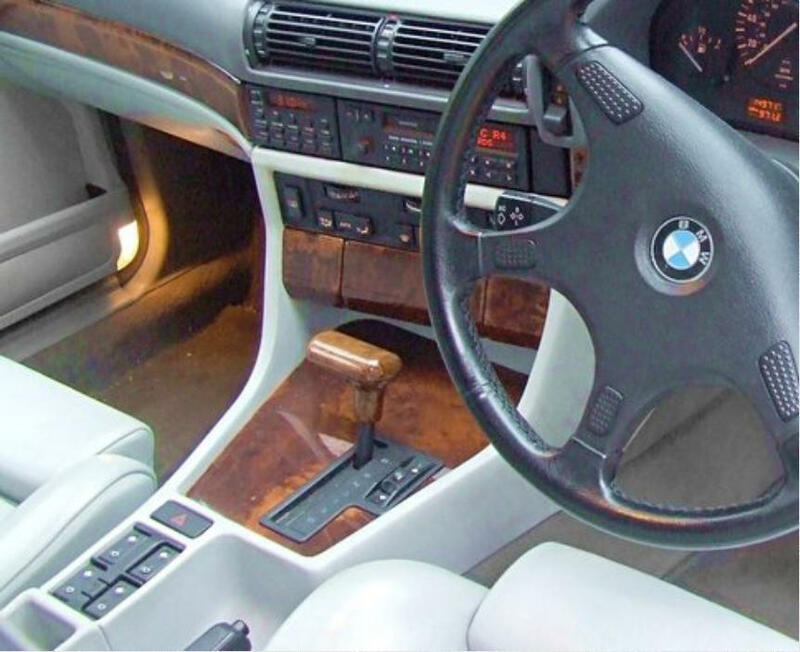 The E32 lighting system changed quite considerably across the model years and some faults are confined to certain years: False 'Bulb Failure' Messages. If you have a single warning message (usually brake light or rear side-light warning) and the bulb is definitely working the most likely cause is corrosion on the bulb-contacts. Clean the contacts with fine emery-cloth and squirt some contact-cleaner on the contacts....that usually cures the fault. If you get multiple warnings on the later V8 models, side lights, rear lights, brake lights etc. 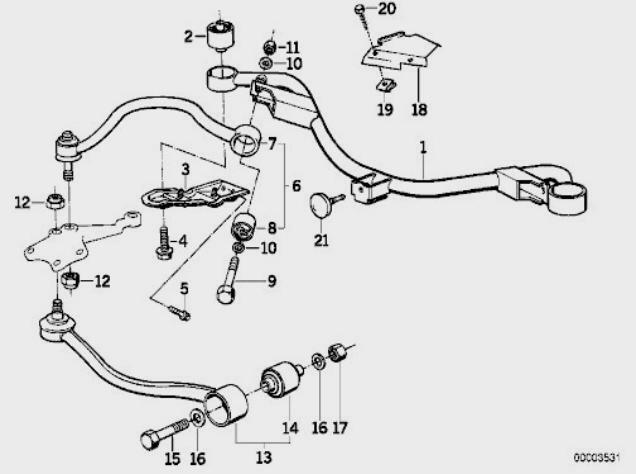 then the fault is usually due to the headlight-aim motors. These get electrically noisy and the noise confuses the Check- Control-Module (CCM). 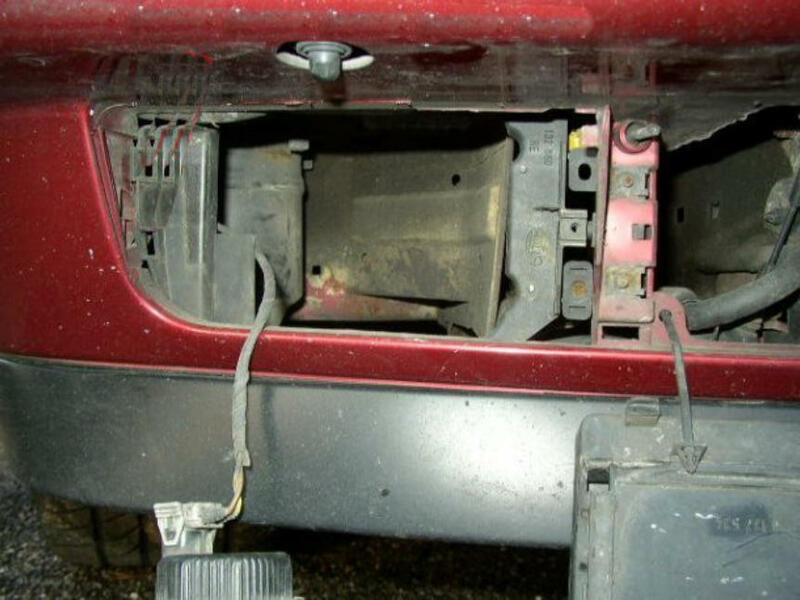 The simple repair is to get the headlights aimed correctly and then remove the connector to the motors. Intermittent Rear/Brake lights. 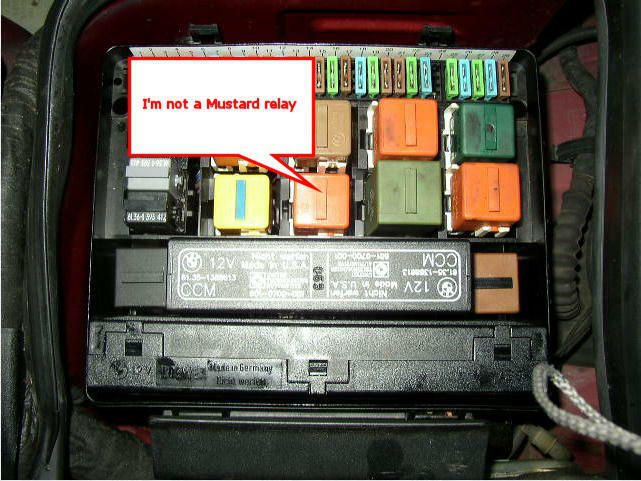 If you have rear lights that are intermittent the most likely cause is the famous 'Mustard Relay' which was present on early models. The picture below shows where it isn't on the later models as the Mustard Relay was replaced by electronics in the LKM (Lamp Control Module). The relay can be taken apart and re-soldered. Intermittent Headlights. On the early models this fault is again due to fatigued solder-joints but this time on the LKM. The early LKM's had relay's soldered to the main PCB and the weight of these relay's eventually fatigue the solder joints. The LKM can be taken apart and the solder joints remade.